CORPINNAT is a collective European Union brand established with the aim of distinguishing great sparkling wines made in the heart of the Penedès from 100% organic grapes harvested by hand and entirely vinified on the premises of the winery. And the guarantee that all of the wine is vinified on the premises of the winery. In 2015, the descendants of the sparkling wine producers who created the “Agrupación de Elaboradores de Cava” (Association of Cava Producers) in Sant Sadurní d’Anoia in the 70s, met to discuss their concern about the future of the Cava industry. The original association had been committed to the traditional method of production (then called champenoise) and it eventually became the Cava Regulator Board (CRDO Cava). As an outcome of these meetings, the “Asociación de Viticultores y Elaboradores CORPINNAT” (Association of Wine Producers and Growers CORPINNAT) was created in 2017 with the purpose of promoting the notion of specific territories within the Cava DO and thereby championing the uniqueness of each of them according to their geography, climate, geology and history. It also wanted to highlight the work on quality development that had been carried out over the last 50 years by producers who aspire to have Cava considered to be among the finest sparkling wines in the world. To achieve this, they wanted to introduce a set of rules that would clearly distinguish the different types and qualities of Cava, offering a logical explanation as to why there are Cavas selling at €3 and others at €100. 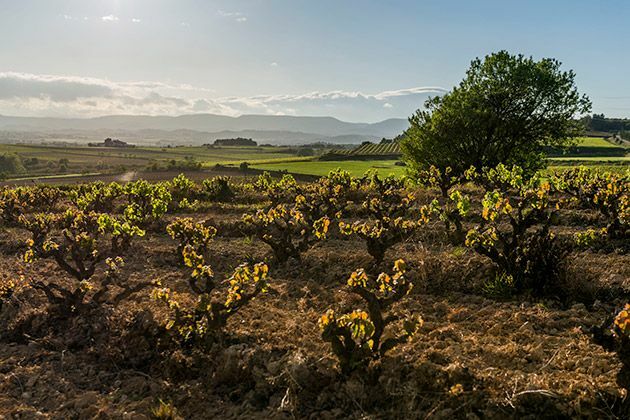 The Regulator Board greeted the Corpinnat project, led by some of Cava’s most iconic producers, with some scepticism. Throughout the months of negotiations, the conversations between CORPINNAT and the DO Cava, especially with the new Board appointed the summer of 2018, have been constructive for the industry as a whole and, as a result, the Regulator Board has incorporated the eventual establishment of demarcated areas within the boundaries of the Denominación de Origen into its vision. However, it has not been possible to reach a solution that is satisfactory to both parties, and the CORPINNAT member producers felt that they had no other choice than to leave the DO Cava on the 31st of January 2019, despite the fact that they had created the CORPINNAT brand with the clear intent of coexisting within Cava. CORPINNAT, a name that means “Born in the Heart of Penedés”. The first bottles featuring this quality branding on the label will be released on the market the spring of 2019. This means that the word ‘Cava’ will disappear from the label and that we will include the name CORPINNAT along with the statement “Vino Espumoso de Calidad, Método Tradicional” (Quality Sparkling Wine, Traditional Method), the claim “Grown in a Barcelona Historic Wine Valley”, and the number of months’ of ageing each bottle has undergone. For a period of time, bottles featuring the word Cava and the word CORPINNAT will coexist on the market, however the wine will be the same.